Automatic regulation of residential fans. Includes automatic control functions performed by timer, humidity sensor, photo sensor, motion sensor. Control unit casing made of high-quality plastic. Front panel equipped with light indicators. Display of control unit operation modes. Equipped with a cord switch. The control unit is designed for indoor wall surface installation close to the fan or remote installation.For selecting the installation place consider motion sensor sensitivity area, furniture location and walking routes. RUN-OUT TIMERKeeps the fan operating after switch-off within preset time period. Adjustable from 5 sec to 30 min. INTERVAL TIMERSwitches the fan on/off. Operating cycle with time intervals from 5 sec to 30 min. HUMIDITY SENSORIndividually adjustable humidity set point. Switches the fan on when humidity level exceeds set point and switches the fan off when humidity level drops to set point. MOTION SENSORAutomatically switches the fan on in case of motion detection within the sensitivity area (operating distance 5 m, viewing angle 130°). The control unit switches the fan off after a preset time period from 5 sec to 30 min when no motion is detected. «Dark mode»: The control unit switches the fan on after light is turned off in the room. Operating period is adjustable from 5 sec up to 30 min. Photo sensor set point is adjustable from the control unit. «Light mode»: The control unit switches the fan on after light is turned on in the room. 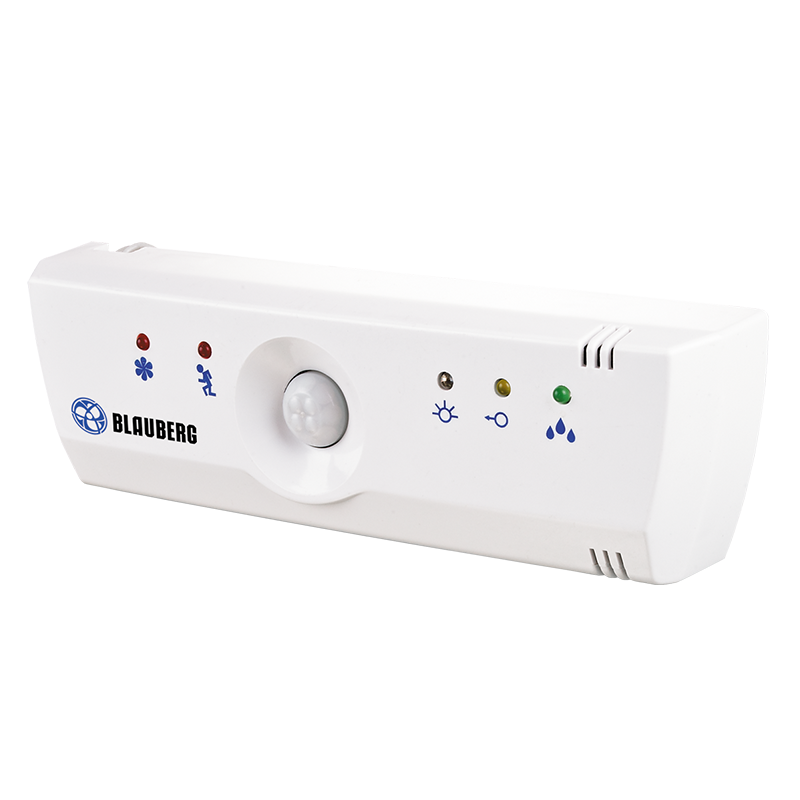 After light is turned off the fan continues operating and is switched off by the run-out timer adjustable between 5 sec and 30 min If light in the room is on more than 60 min the fan switches automatically off. The photo sensor set point is adjustable from the control unit.